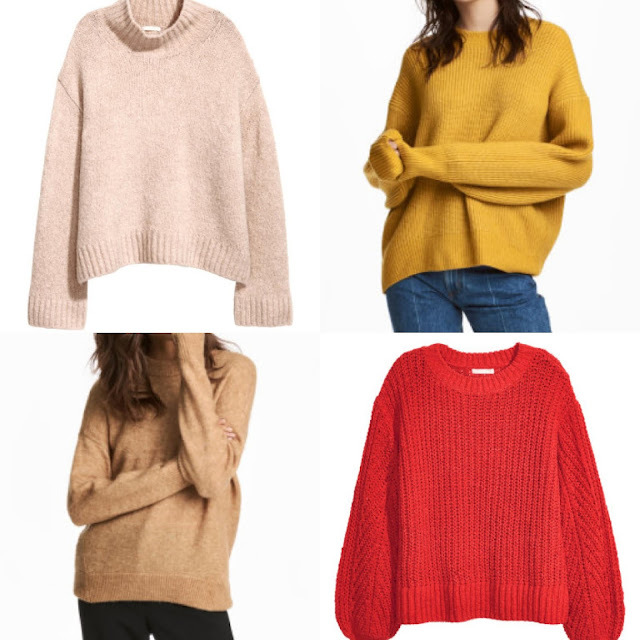 I quickly wanted to share a few sweaters I've been eyeing all available at H&M. I lovee this store and think that you get great quality for the price. 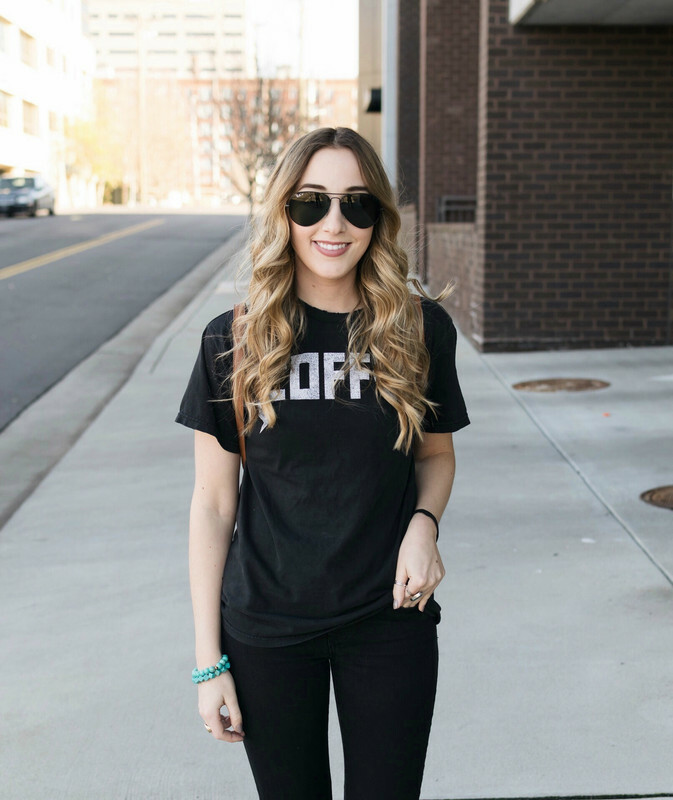 I've purchased a ton of sweaters from them in the past and they always hold up well! I have a weird infatuation with yellow lately so they yellow knit is at the top of my list. *Made a crazy amount of applesauce!- If you follow me over on Instagram I was taking videos and pictures of the process of making it! I picked all the apples from my parent's yard- peeled them- cooked them down & made the sauce! It ended up yielding about 26 cups of applesauce! I jarred it up & it's now in my freezer whenever I want it! *Brought clothes into my local consignment shop! I always go through my closet at the start & end of every season so I had a bag of clothes to drop off- I ended up getting $100 dollars for things that had just been sitting in my closet! Score! I highly suggest weeding through your clothes & only keeping the things you are 100% sure you will wear! It makes more room for new clothes! *Making breakfast! - I'm not sure exactly what I'm going to make but I need an excuse to use my Pumpkin Butter from Trader Joe's. If you've never tried it you have to! It's the perfect amount of savory and sweet & is delicious on toast! *Picking up fall flowers!- I love decorating inside and out for fall so I need to pick up some Mums for my entryway! One of Kyle's coworkers owns a little barn that sells Mums & Pumpkins so we're going to head there! I consign 4-5 times a year but I've never made as much as you did- that's amazing! I need to try the pumpkin butter- sounds delicious! Looks amazing! Have you tried selling clothes on the Poshmark app? I've had great success with that. Obsessed! I’m excited for fall and looking forward to my weekend breakfast too! That pink sweater is gorgeous! May have to have a look at H&M; I always forget about them! That applesauce looks delicious; I love homemade appleasauce :) Have fun picking up mums and pumpkins! I love the pink and mustard color ones! So cute! I can't wait until fall is in full effect here. :) Soon I hope! Homemade applesauce is the absolute best thing! I know the craze is pumpkin/pumpkin spice everything, but I am totally an apple everything kind of girl! This makes me want to make some! YUM! I love homemade applesauce. My mom used to make that for me all the time. I need to make some for myself soon. I'm constantly cleaning out my closet! But I've definitely been eyeing the exact same sweaters at H&M! Woah that is a lot of applesauce! Lol! It looks so good though! And I love your sweater picks!